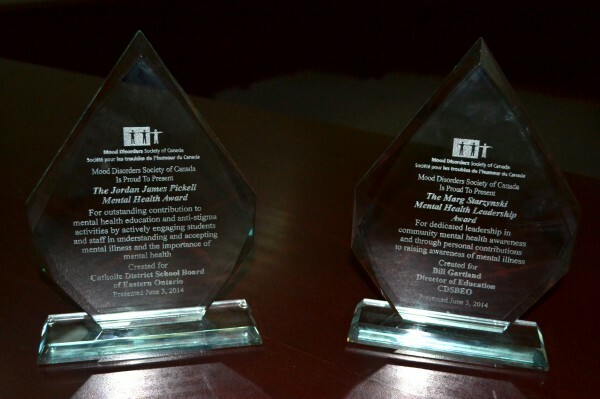 The Catholic District School Board of Eastern Ontario has been chosen as this year’s recipient of the Jordan James Pickell Mental Health Achievement Recognition Award. 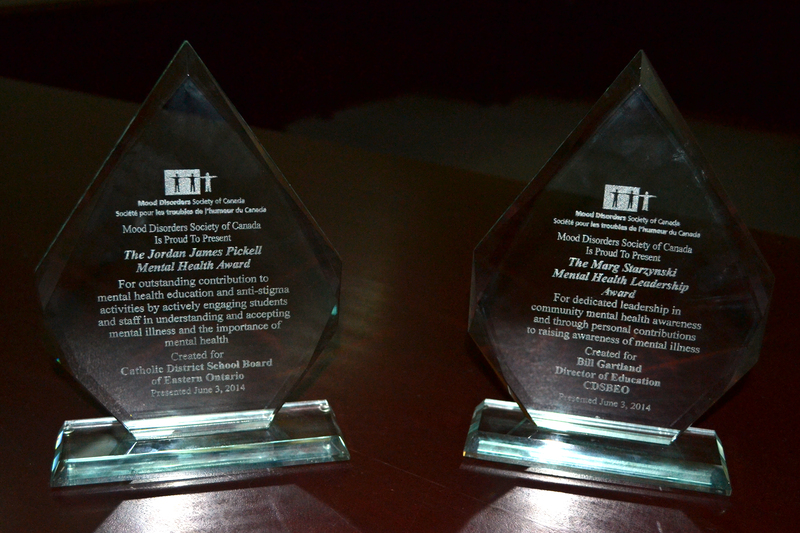 The Mood Disorders Society of Canada (MDSC) gives the award annually to an organization for outstanding contribution to mental health education and anti-stigma activities through actively engaging students and staff in understanding and accepting mental illness, and the importance of mental health. Director of Education, Wm. J. Gartland also received the Marg Starzynski Mental Health Leadership Award for dedicated leadership in community mental health awareness, and for personal contributions to raising awareness of mental illness. 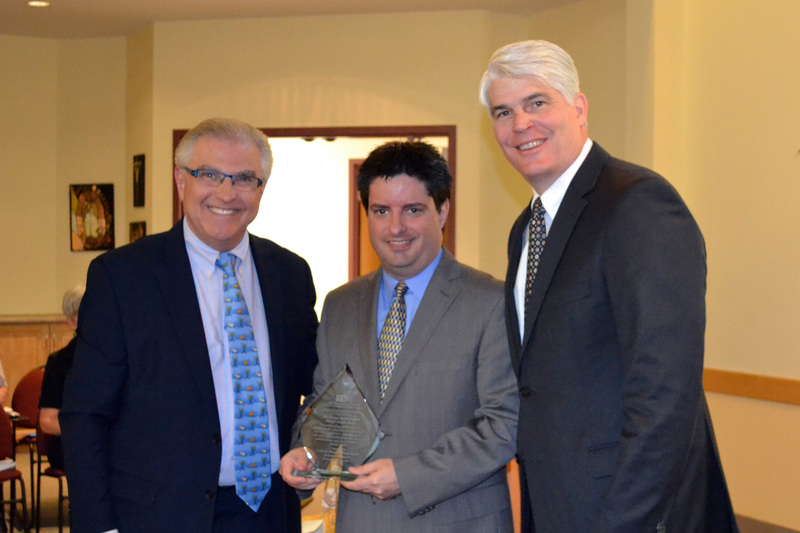 The awards were presented at the Board meeting held on Tuesday, June 3, by MDSC President, Mr. John Starzynski. The CDSBEO has implemented many initiatives as part of an ongoing Board-wide mental health program, including the Elephant in the Room Anti-Stigma Campaign for awareness about mental illness in the workplace and in the classroom, WITS/LEAD programs in response to bullying, proactive circles and restorative practices for conflict resolution, and a new student bully reporting app, called EMPOWER, which encourages student voice, promotes positive mental health and helps stop student victimization.